Remember the Mexican wave of the early noughties? We've moved on, developing a growing appreciation for ceviche and churros, paella and pinchos, tequila and tortilla. 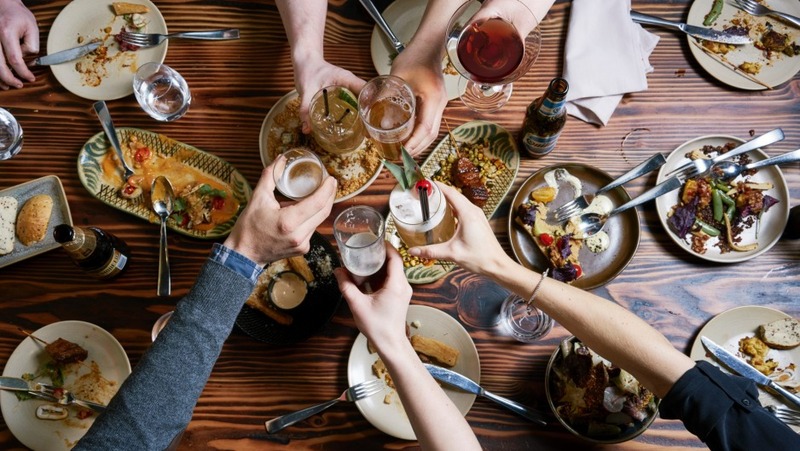 In this preview from the forthcoming national Good Food Guide we present our favourite spots around Australia to sample Spanish and Latin American flavours. This taqueria discotheque is not so much Mexican as Mexi-kinda. Oh, and vegan. Juicy grilled corn is blackened and slathered in Japanese mayo and finished with Japanese spiced salt – unfriendly for dates, perfect with mates. The Taco of the Day might be filled with fingerlings of roast jerusalem artichoke, and half a head of cauliflower sits on a slick of almond puree, ready to be carved up and placed on steamed Chinese pancake with coriander and a scattering of raw onion. Take a crew and go large. Squint and you could be at the Boqueria in Barcelona rather than a posh new food court in a fancy old shed serving Mirvac's Harold Park apartments. 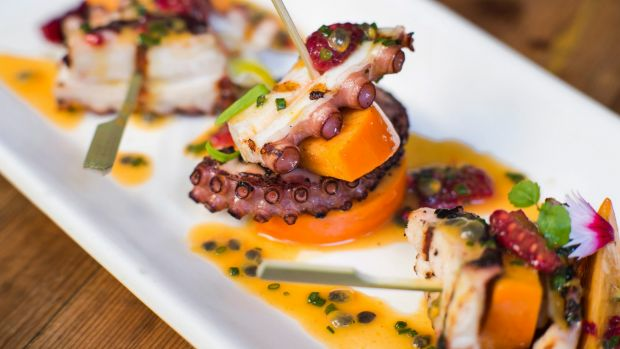 Bodega 1904 delivers a fistful of tapas and larger share plates such as wood-grilled calamari rolling around with heirloom tomatoes, pinenuts and plump little raisins. Charcoal-grilled spatchcock is bedded with crisp-fried cassava and creamed corn licked by 'nduja, while wagyu skirt enriched with roasted shrimp butter is ideal for sharing with friends and a tempranillo from Joe Valore's sharp-cut wine list. 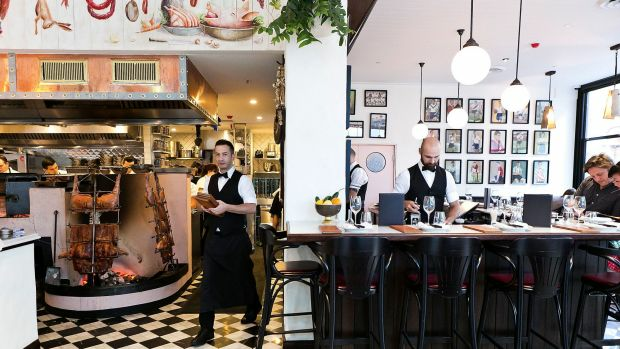 No restaurant in Australia has ever made steak and eggs sexier than Ben Milgate and Elvis Abrahanowicz's Argentinian grill house. Thick slices of grass-fed sirloin lands at the table hidden by two sunnyside up eggs, an avalanche of home fries and condiments. All the best-loved elements from their former Cleveland Street premises – whole beasts, crucified and cooked over the hearth, empanadas with outrageously short pastry – have made the journey to their new HQ in the former MoVida site, and you can check out Wyno, their new bar around the back, before supper. 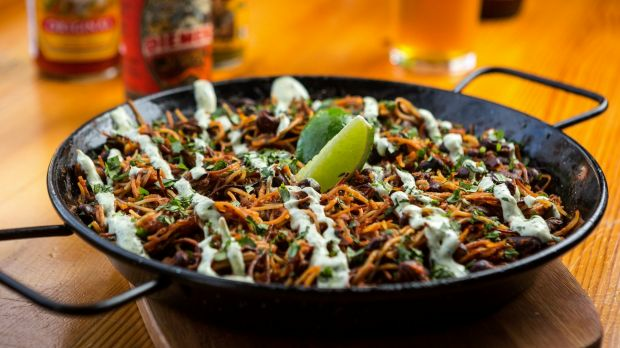 You'll either think the name's naff, or a playful pun that helpfully references the regions the restaurant taps – which is, of course, Mexico – but also Central and South America. What won't divide, however, are their tacos – their hard shell provides a perfect crunch to the well-seasoned and smoky ceviche of salmon and kingfish. Match it with the eponymous cocktail (tequila, St Germain elderflower liqueur and agave with a jalapeno and salt rim) and you have the makings of a great night. Who'd have thought that in the heart of Puffing Billy country there'd been a South American-inspired food revolution? And one in an old hardware store on Gembrook's quaint main street, no less. 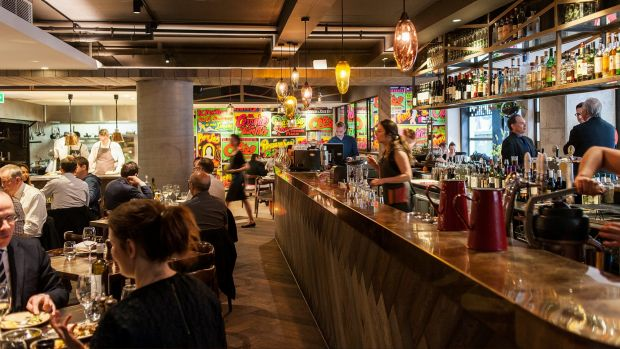 The gutsy food melds Argentinian, European and African flavours. You might kick off with a croquette enriched with shredded pork and beef then move on to finger scaldingly-good spicy fried chicken. But whatever you do, don't miss the roasted carrots amped with chilli, peanuts and smoked maple syrup. 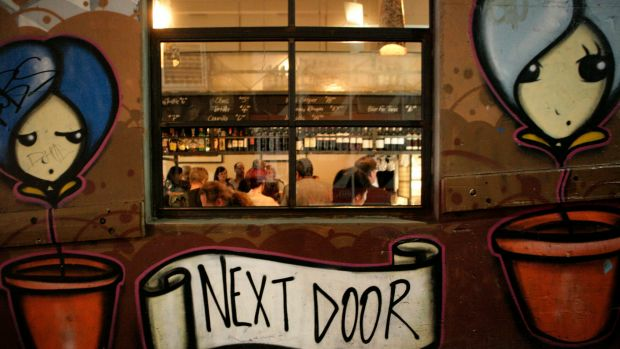 Now a Melbourne institution, this sophisticated, moody tapas bar in a thickly graffitied CBD laneway remains abuzz with people digging MoVida's take on modern Spanish cuisine, their conversations reverberating about the earthy timber and terracotta room. Wafer-thin crouton topped with anchovy and smoked tomato sorbet remains a signature. But there's new joy to be had in the likes of a mussel nestled in whipped cod roe on a crunchy wisp of potato. 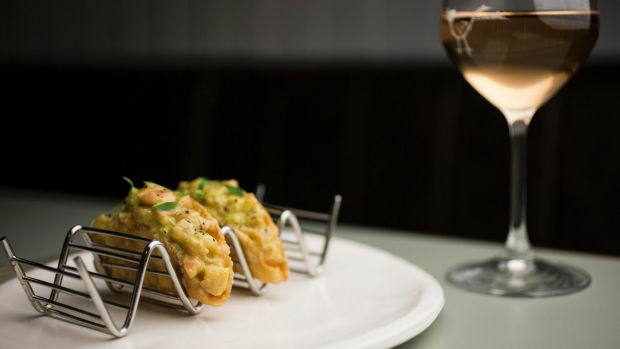 Sharp service and a nifty Iberian-accented wine list complete this always-seductive scene. It's an uproarious affair here – colourful, vibrant, bustling – at the rock'n'roll end of ACDC laneway. And it's put Peruvian squarely on Melbourne's food map. Pisco sour to start with? Churlish not to at this festive, cavernous bar-grill-steakhouse. Start with ceviche – maybe marlin, snapper or kingfish cured in lemon or lime – and share some street-style food. Then it's time for fire – hearty main courses such as grilled half-chook paired with a lemon and lime salsa. Look out for their annual alpaca head-to-tail lunch, and pisco masterclasses. Situated behind a mall in Patterson Lakes, it's boats, bossa nova and the taste of Barcelona at this unexpectedly opulent oasis decked out in pearly white bench seats, animal print cushions and antlers. 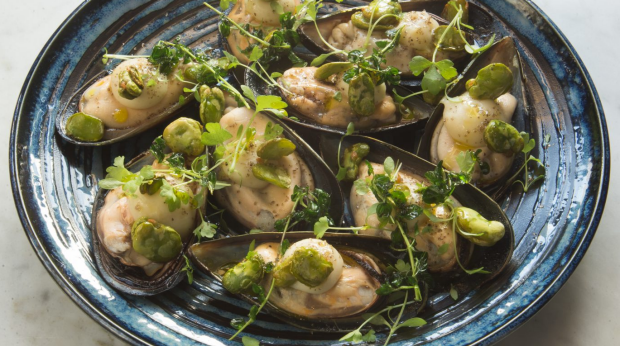 Aim for a lake view seat by the open window, and open with light and spritzy sangria and tapas such as bloody mary oyster shots and padron peppers, grilled until blistered and speared with a chunk of fiery chorizo. Paella Sundays offer great value at just $65 for two. 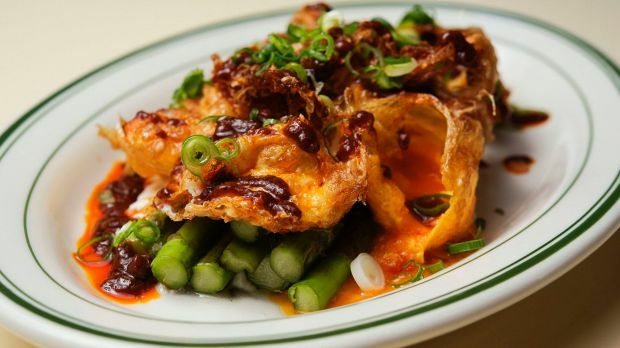 The greatest testament to this vegan restaurant is that most diners aren't vegan. 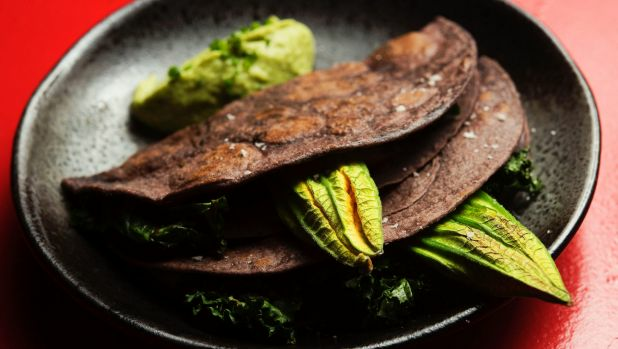 Maybe it's because the Spanish menu swaps tempeh for mock blood sausage empanadas, the soy protein so realistic and pastry so flaky you swear chef Shannon Martinez – who isn't vegan – uses meat and lard. A deceptively realistic saffron-spiked stew with "seafood" made from the konjac plant is clever enough to fool carnivores. Cocktails stick to theme with ingredients like agave, chilli and even saffron marshmallows. 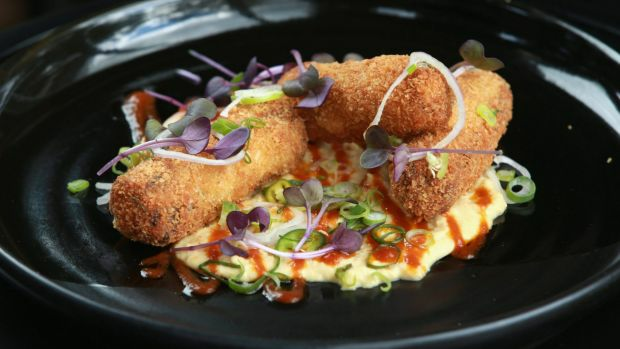 Javier Codina has proved his talent with finicky food, basics and just about everything in between. He has settled, happily, on the cuisine of his Catalonian childhood tempered with other Mediterranean influences. Earthy and brimming with flavour, much of the food would be at home on a well-dressed Catalan kitchen table. Imagine pork cheeks with pedro ximenez for mind-blowing richness or mackerel ceviche that arrives in a waft of orange blossom. Come at lunch on Friday, when paella makes a special appearance. The Good Food Guide goes national this year with hats awarded across Australia. The Good Food Guide 2018 will be launched in October with our presenting partners Citi and Vittoria and will be on sale in newsagents and bookstores.